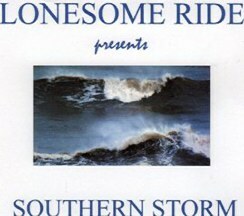 A Bluegrass song on CD about the southern hurricanes of 2005 and especially Katrina. 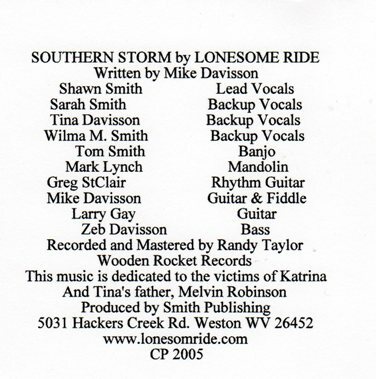 It was written by Mike Davisson and recorded by Lonesome Ride Bluegrass Band, Shawn Smith and Tom Smith owners. To listen to an audio clip of this song click here on Southern Storm. To Purchase this CD go to Smith Publishing Mercantile. To Contact us Use this handy e-mail form.